The Sankalp Africa Summit will this month bring together over 1,000 impact investment stakeholders to build partnerships to accelerate development in Africa. The sixth annual Sankalp Africa summit, on February 21st and 22nd at KSMS (Kenya School of Monetary Studies), will host more than 100 speakers across its plenary sessions and side events. These include speakers from Sankalp’s founding partners Shell Foundation, Triodos Investment Management, USAID, Argidius, the forum’s track and knowledge partners Mastercard Foundation, Swiss Development Corporation, BMW Foundation, Siemens Stiftung, IDRC, AHL Venture Partner, World Resources Institute and Athena Global Alliance. In assessing the impact of unusual alliances, the WEF 2018 reviewed the programme launched by vehicle manufacturer Ford, with a Silicon Valley technology hub and companies Lyft and Chariot, to break into new materials and technologies for self-driving cars. “In Africa, we likewise have proof of the power of our emerging ‘unlikely alliances’,” said Jeff. An Intellecap initiative with the Global Alliance for Improved Nutrition (GAIN), founded by the Bill & Melinda Gates Foundation, identified private sector companies that could help tackle malnutrition and organised investment connections for them. Intellecap has likewise worked to achieve investments in Motherband invented by Kenyan midwife Peter Mwangi to prevent the death of new-borns through monitoring using minimal resources, and with Unilever to achieve access channels and business models to distribute water purifiers to low-income consumers. Across initiatives such as these, “the positive impacts of alliances are becoming clearer,” reported the WEF, such that “the effects of moving from competitor to collaborator will ripple throughout every aspect of an organization and how it operates”. The WEF has identified such alliances as the world’s key economic driver in coming years. 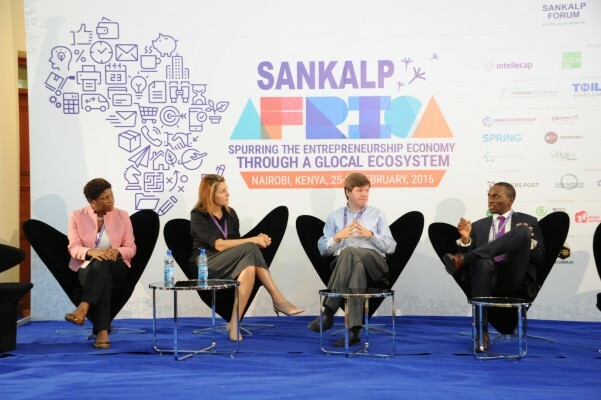 Intellecap will also be announcing its Sankalp Africa Awards at the summit, with 10 high impact enterprises from across the region pitching for the awards in presentations moderated by Kenyan TV and radio host Jeff Koinange. The summit will additionally raise investment for entrepreneurs, offer networking with over 1000 global leaders, secure collaboration across investors, corporations and governments, and provide insights into entrepreneurial opportunities through research, publications and sector focussed workshops.